Founded in 1898, the Canadian Institute of Mining, Metallurgy and Petroleum (CIM) is the leading not-for-profit technical society of professionals in the Canadian minerals, metals, materials and energy industries. CIM has over 10,000 members, convened from industry, academia and government. Including MetSoc, CIM has 10 technical Societies and over 33 Branches, CIM members help shape, lead and connect Canada’s mining industry, both within Canada and across the globe. 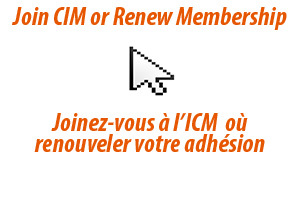 Learn about the Benefits of a CIM Membership, and join us as we continue to make history in the minerals industry. Thank you! Your message has been sent and we'll be in touch shortly. © 2000-2019 MetSoc of CIM. All Rights Reserved. METSOC is a constituent society of the Canadian Institute of Mining, Metallurgy and Petroleum (CIM).